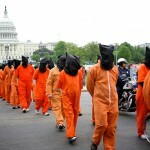 Guantanamo Bay: When Will We Wake Up? 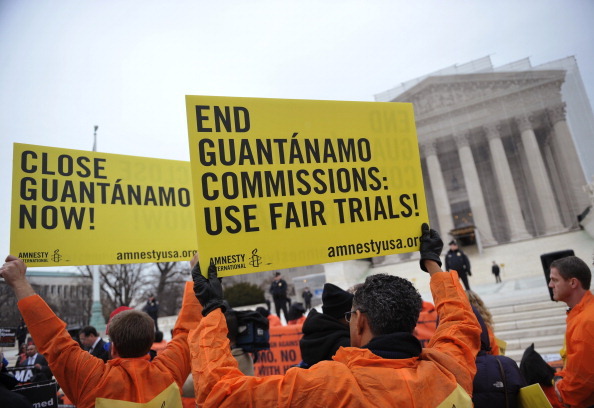 Demonstrators take part in a rally to call for the closing of the Guantanamo Bay detention center (Photo Credit: Mandel Ngan/AFP/Getty Images). I was born and raised in New York. My mother is originally from Pakistan and my father is from India. My parents and I are Muslim. From a young age, I had the impression that most Americans did not know much about my culture or religion. During the September 11 attacks, I was in fifth grade. I can distinctly remember a classmate calling me a terrorist in the following days. While I knew that he did not realize the gravity of his accusations, I also understood that his words represented a new perspective held by many Americans regarding Muslims. As I have gotten older, this stereotypical outlook has been reinforced through my personal experiences. Shaker Aamer, a British resident who is one of the dozens of detainees “cleared for transfer,” has been held at Guantanamo Bay since Feb. 14, 2002, and has yet to be charged for a crime. The British government has, on numerous occasions, called for him to be released and returned to the United Kingdom. Last month, British Prime Minister David Cameron raised Aamer’s case with President Barack Obama at the G8 summit. A husband and father of four children, Aamer, along with many other detainees, has resorted to hunger strikes in order to attract attention to their unheard cases. Aamer is reportedly also one of the detainees being force-fed at the facility, a tactic that the International Committee of the Red Cross equates with ill-treatment. 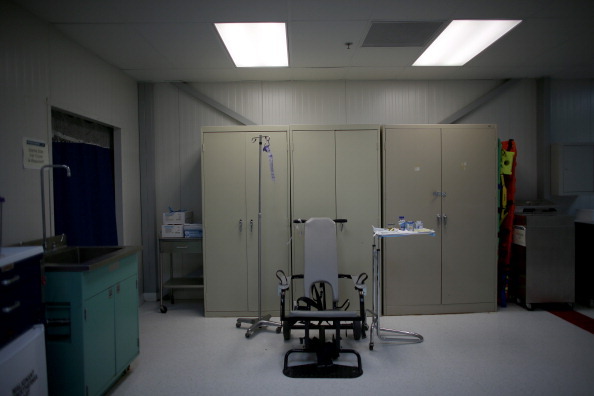 The restraint chair used to force-feed detainees on hunger strike is seen at the detainee hospital at Camp Delta in Guantanamo Bay, Cuba (Photo Credit: Joe Raedle/Getty Images). 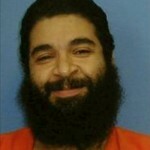 President Obama can and should resolve Aamer’s case immediately. Like any other detainee, Aamer should either be charged and fairly tried or released. Given his status as “cleared for transfer,” it is evident that the U.S. authorities have no intention of prosecuting him. President Obama should heed the U.K. government’s call to transfer Aamer home to London. He should be able to rejoin his family and children, one of whom he has never met. Congress also has an important role to play. Instead of hindering progress toward closing the detention facility, our elected officials should support the rule of law. As a resident of New York, I am particularly disappointed with Sen. Charles Schumer’s record on Guantanamo. However, he can redeem himself this year by voting for the Guantanamo provisions in the National Defense Authorization Act for fiscal year 2014 as approved by the Senate Armed Services Committee. In that same fifth-grade class where I was labeled a terrorist, I was also taught that this country was founded upon the principles of justice and democracy. Indefinite detention and force-feeding are fundamentally incompatible with these principles and do not reflect the values on which this country was established. I learned that in America, all are innocent until proven guilty; everyone deserves the right to a fair trial; and no one should fear torture, or other ill-treatment, at the hands of our government. Some have argued that we need the detention center at Guantanamo to keep us safe, but the notion that we must choose between security and justice is a misguided one. Our security is best ensured when government, including our own, respects the human rights of all people. Trading away the rights of a few will only put us all at greater risk. This entry was posted in Americas, International Justice, Military, Police and Arms, Prisoners and People at Risk, Security and Human Rights, USA and tagged accountability for torture, Americas, detention and imprisonment, fair trials, guantanamo, illegal and indefinite detention, legislative and policy reform, Military Police and Arms, prisoners and people at risk, security and human rights, Shaker Aamer, torture, USA by Guest Writer. Bookmark the permalink. 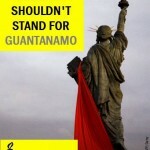 Can You Make 1 Phone Call Before 5pm EST Today to Help Close Guantanamo? Do You Know Who is Detained at Guantanamo Bay? Well said. Too bad a lot of Americans are just plain ignorant. I cannot agree with you more. This whole situation makes me ashamed of my country. I am a graduate student of Social Justice at Marygrove College in Detroit and will be hold a public education forum on this situation hopefully in January 2014. I feel that many Americans are simply uniformed about the situation and believe all the scare ideas put forth in the media. I also am impressed by the fact that all detainees are Muslim. Whatever happened to freedom of religion in this country? When will my country stop making me ashamed to be an American? a lot of non Americans are also plain ignorant and don't care of this . Shame on USA government and his président. Exactly! I'm not from the US and I get so annoyed when someone says that americans are ignorant! Ignorant people are everywhere and to think all the people in a country are all the same is more ignorant than anything else! I don't think this problem will be resolved any time soon. They aren't even trying to hide or explain what's happening there. Everything is being done out in the open. So it must mean that it's not something they consider to be an alarming injustice. the clear for transfer status differs in no way from the sentenced status. It's crazy! What happened to innocent until proven guilty? This is not an acceptable way to treat others! Of course it's ill-treatment to force-feed a person who wants to be on hunger strike!